It’s becoming more common every day to hear people talking to their phones—and not to people on the other end of the line. Voice search is a newer feature for many of us; for marketers, it’s also a useful tool that is changing the way we think about SEO. If you’re not incorporating voice search optimization into your SEO practices, you might need to rethink that. By taking advantage of the opportunities now, you can give your SEO efforts the boost you need when you’re struggling to climb to the top of the search engine results pages (SERPs). It doesn’t end with smartphones, either. 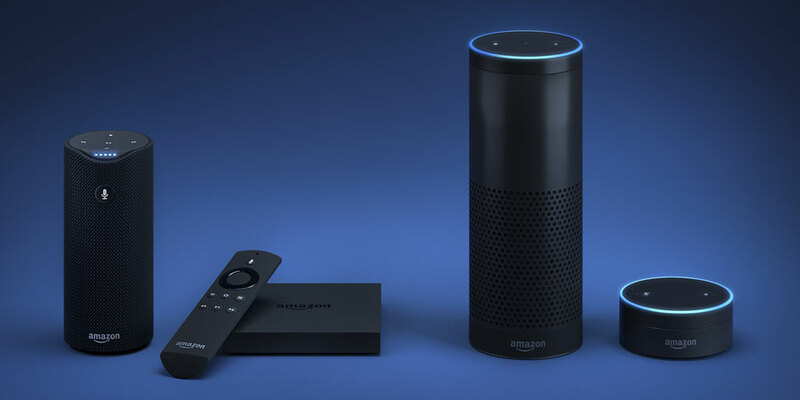 Many people are using voice search through Amazon Echo, Google Home, and other AI-enabled smart speakers to search for the answers they need. When reaching out to voice search users, they’re not just seeking answers in a unique way: They’re also asking their questions in new ways. Voice search is built to handle search queries differently. AIs like Alexa and Siri are designed to understand conversational questions and phrases and respond in a human way. For example, if you’re thinking about meeting with a lawyer to discuss a potential lawsuit, you might conduct a traditional search by typing the type of attorney and your location—”personal injury lawyer Phoenix,” for example. Those using voice search will translate that into a complete, grammatically correct question: “Google, where is a personal injury lawyer near me?” Some voice search programs, especially Siri, localize your results for you. Even if you don’t specify your location, you’ll likely see or hear the results nearest to you. So when you’re planning your SEO campaigns, you’ll need to include content that addresses voice searchers’ questions in a conversational tone. Make sure that when Alexa scans your content to find the answer to a voice search query, a well-written, conversational answer is front and center. AI-assisted voice search was made for people on the go: They ask their questions, and they want a fast, specific answer that contains all of the information they need. In the case of smart speakers, users often don’t even have the ability to read text displayed on a screen. A question like “How many miles between Austin and Houston?” should pull up a single, spoken answer, rather than further reading. Keep that in mind as you analyze your content. Your content should be optimized for important information, such as business hours, key services, and location. Don’t give an AI a reason to skip your site when looking for the answer to a voice search query. That’s all fine and interesting, but how will AI-assisted voice search actually affect the success of your campaigns? To answer that, let’s return to the example involving the distance between Austin and Houston. The searcher is looking for a concrete, specific piece of information, and Alexa, Siri, or another AI is tasked with finding it—and being correct. That means many AIs are designed to only call up voice search answers from high-authority, trustworthy websites. Here’s what that looks like on a voice search SERP: The highest-ranking result for that query that has an actual answer to the query is likely to be the one—and probably the only one—Alexa selects to read back to the searcher. That means rankings become more important than ever. If you’re not answering questions and appearing in the first few results, you’re missing leads. That’s why many SEO practitioners are emphasizing FAQ-style content. AI-assisted voice search via smartphone is a hands-free answer to navigation while you’re driving. Stopped at a red light, you can utter a simple question or command, and your smartphone’s AI will do the work of finding the directions and reading them aloud to you. It doesn’t matter whether your SEO efforts involve a restaurant, grocery store, law firm, doctor’s office, or car dealership… if the business has a storefront, customers and clients need to know how to get there. And voice search AIs like Siri and Alexa need to know where the business is so they can direct searchers to it. For content creators and SEO professionals, that means making plenty of location references in text content, integrating your site with Google Maps, and claiming and maintaining your Google My Business listings. Those are all important location factors for AIs that process voice search queries. The rise of smart speakers, smartphones, AI, and voice search is changing the SEO landscape before our eyes. Meanwhile, many marketers and businesses are just now catching up to text-based, traditional SEO practices. So now is your opening—your opportunity to gain an edge over the competition. As more people toss aside their keyboards in favor of asking Siri and Alexa their questions out loud, voice search becomes a bigger factor in accomplishing the end goal of SEO for businesses: gaining customers and clients.